And totally pull off, if we do say so ourselves. Coveteur HQ is a place where you can look to your right and see someone in current season Altuzarra, and look to the left and see someone in head-to-toe Outdoor Voices. Both people will look great, and both outfits will be totally work-appropriate. Attribute this to the cold weather that makes dressing up feel like a chore, or the fact that one of us is expecting a baby (!!!) and another one of us routinely clocks two workouts a day, but we’re really enjoying wearing our workout clothes to work these days. Aside from the obvious, which is that they’re far more comfortable than everything else we own, we enjoy styling them in ways that work outside of the gym, whether it’s for a full day of writing or an afternoon on set. Swing by our office, and you’ll likely see us in the pieces below. 1. Outdoor Voices 3/4 Warmup Leggings: This whole topic makes me LOL because at the moment I’m eight months pregnant and wearing almost exclusively workout clothes to work because nothing else fits, and I’ll be damned if I start buying maternity clothes this late in the game. I like OV’s warmup leggings because they’re a solid color with minimal seams, and thus look more like “fashion leggings” than plain old “did you shower after the gym and before coming to work?” leggings. 2. Girlfriend Collective 3/4 Mid-Rise Legging: Ditto Girlfriend Collective re: the above point. I love Girlfriend Collective’s neat colors and the fact that they’re made out of recycled water bottles. I also love the mid-rise feature. If you’re knocked up, most high-waist leggings, though trendy, will make you feel like you’re strangling your baby, and will also increase the feeling of having to pee every waking moment of the day. 3. GapFit Sculpt Fast Full Panel Leggings: I don’t know how much “sculpting” is happening at this point in the game, but I do love these leggings. I resisted anything over the bump, or “full panel,” as it’s called, until very recently, and woah—total game-changer. Not as itchy/hot as I feared, and in reality, it’s nice to have something other than my skin supporting my gigantic bump. These do look distinctly athletic, but when you wear them with a really fancy cashmere sweater and some beautiful riding boots, nobody will care. 1. 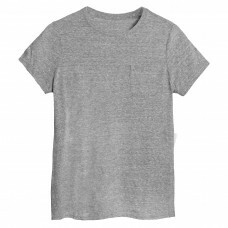 Richer Poorer Crew Pocket Tee: This is the BEST t-shirt I’ve ever owned in my life, and if you saw my closet then you’d know how seriously I take my tees. It’s crazy soft, drapes just right, and the heather grey is the perfect I’ve-had-this-forever-without-actually-wearing-it-to-shreds color. I wear it to sleep, work, work out, clean my apartment—you name it. I even bought the men’s version for my BF so he can share the love. 2. Gucci Stripe Jogging Pant: No one will judge you post-workout after rolling up to the office in a pair of sparkly appliqué Gucci joggers. Highly recommend. 3. 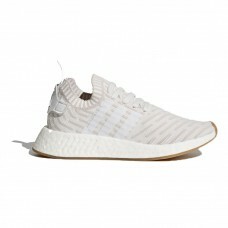 Adidas NMD_R2 Primeknit Shoes: White sneakers are my new obsession, despite living in a city where they’re basically trashed after one wear. These knit Adidas are super lightweight and can take me from workout to workday without sacrificing style. 1. Varley Whitter Rose Sweat: Workout or not, this would be something I’d grab in a heartbeat. 2. Girlfriend Collective Black High-Rise Leggings: Quote me last year saying that I would never wear black leggings in public or as pants. Now fast-forward to this year and now becoming a morning workout person. These leggings are the easiest and most versatile to wear straight from Tone House to work! 3. 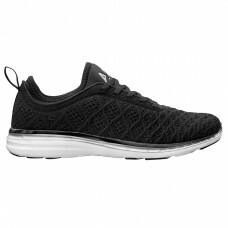 APL Women’s TechLoom Phantom Black/Metallic Silver: These sneakers from APL are probably the most fashionable athletic shoes I’ve worn, and more often than not, I wear them out and about running errands with no intention of working out. 1. 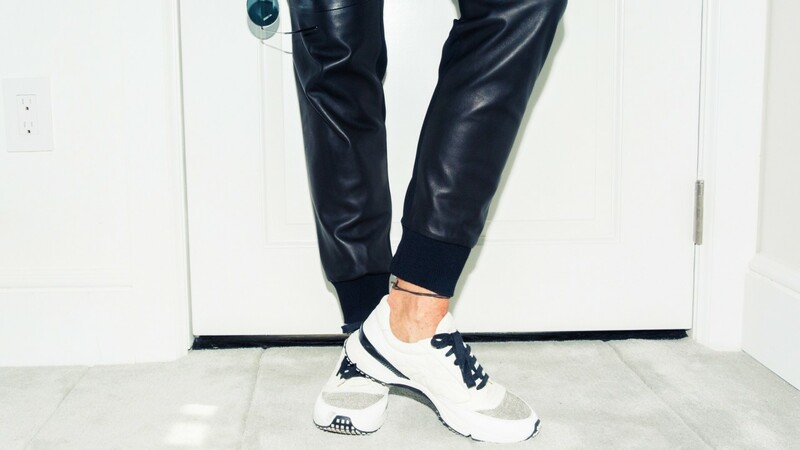 Aday Hail Yes Track Pants: A little-known fact about Coveteur is that we do a lot of roll-up-your-sleeves work. Our closet shoots don’t style themselves, and being on set often means that we’re kneeling, stepping on ladders, unpacking trunks, and doing all sorts of stuff that requires us to be as nimble as possible. Still, I like to look reasonable while on the job—regardless of how labor-intensive my day may be—and these pants totally fit the bill. 2. 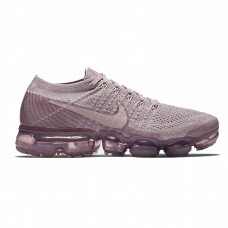 Nike Air Vapormax Flyknit: Most people probably look at these and see running shoes, but I see pair-these-with-my-cropped-jeans-and-go-to-the-office shoes. Knowing my colleagues, these would garner nothing but compliments. 3. Company Cooperative Boren Pullover: On the (rare) occasion that I go running outside when it’s below 60 degrees, I always wear a jacket or a pullover. I love the cropped, boxy fit of this one; it would definitely get more wear off my running path than it would on it.